Today is The Perfect Day To Be Happy. Happy Sunday. Sunday the most perfect day to be happy, free and relaxed. Out from 6 days of hectic routine works, today is the perfect day to make all your dreams come true. Live as if you are about to die tomorrow every sunday. 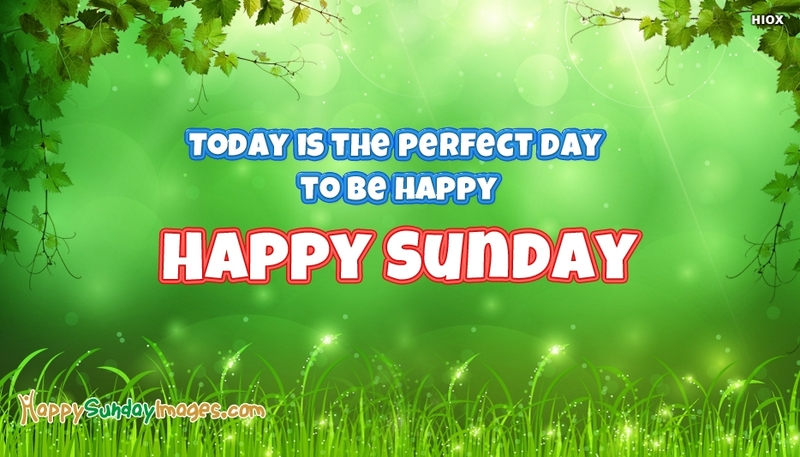 Feel fresh and happy and spread the love for sunday wishing everyone you love a Happy Sunday through this awesome ecard.